Hello there! 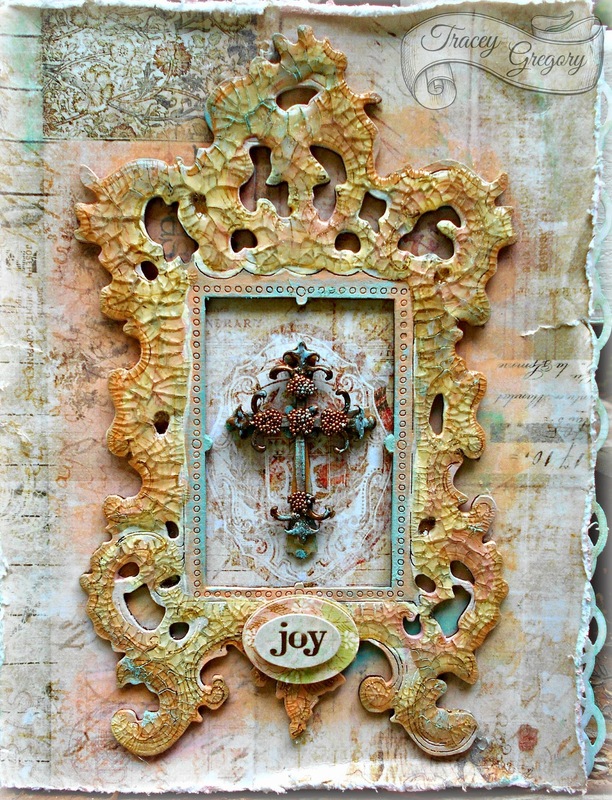 Today and I want to share with you a card I created using Leaky Shed Studio chipboard. I started with the Prima background paper,which I then distressed and layered. 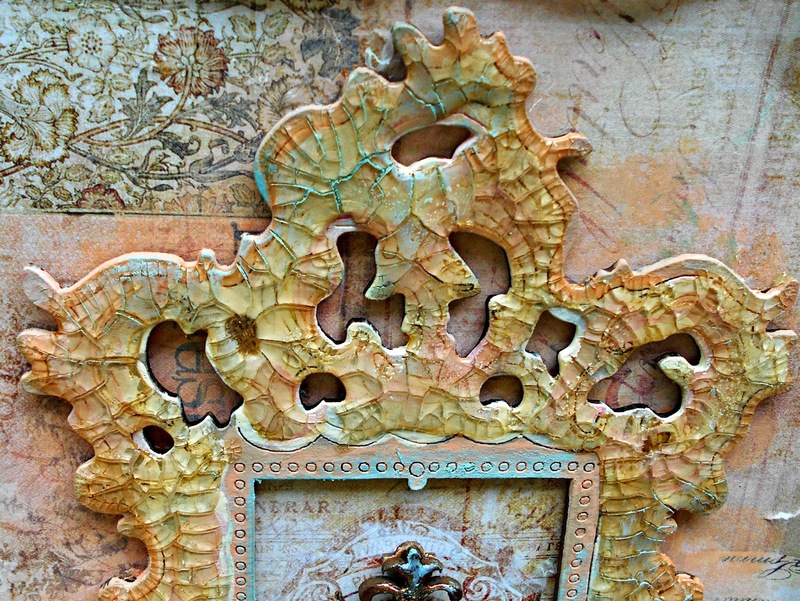 I shaded under the Victorian Mirror frame with Tim Holtz Distress Paint in Spun Sugar. To get the fresco effect on the frame,first I painted the whole surface with tan acrylic paint. Once that was dry,I added various shades of gelatos in brown,peach,pink and blue. I thickly applied Ranger crackle medium and let it sit overnight. Once,dried and crackled,I added Rub n Buff in Patina around my edges and in some of the cracks. The cross is a combination of two of the shapes in this Cross Set of five. 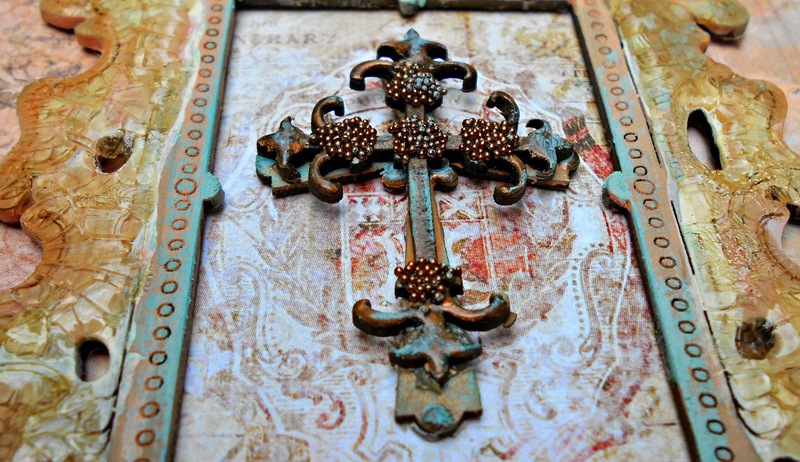 After coloring with gelatos and the same Patina Rub n Buff,I added copper microbeads using Ranger glossy accents and embellished the ends with Viva Copper Pen.I don't make cards very often but I love how the frame is the perfect size and adds an air of elegance! First, you create the best crackle effect of anyone I know! Second, that cross is the bomb! Love love love the added beads! Love the effect you achieved on the frame. I will have to give it a whirl. tfs! Love your use of purple!